But there’s a third option out there open to anyone shopping for a car. The ex-demo. And if you’re in the market for a car, having a look at ex-demo vehicles might be a way to save thousands of dollars on your purchase. But what exactly is an ex-demo vehicle? Traditionally, the term ‘ ex-demo’ referred to the near-new vehicles a dealership used as showroom display models. Cars driven exclusively by dealer staff for a period. Or cars used for the purpose of customer test drives. Car manufacturers contract with dealerships to run a set number of demonstrator vehicles every year. And offer a subsidy on each of these cars, which in turn are registered by the dealership. When the time comes to eventually sell these cars, these subsidies represent the first layer of savings inherent to the purchase of an ex-demo vehicle. Because these cars were meant to be display models, intended for use as test drive cars, or earmarked for personal use, they often come outfitted with higher specs, top of the line features and the best systems already equipped. And they’re typically without any flaws. Well maintained. And kept in pristine condition, because it’s the flagship. It’s easy to trust that the owner of a dealership would take the best possible care of a car that they, or a family member, would be personally driving. But in recent years, the ex-demo designation has evolved. The classification now extends to include other near-new cars on the lot. Cars with different backstories. Like the factory executive car. These are vehicles reserved for the use of dealership employees. Often as a part of their salary package. Happening across one of these factory exec cars as an ex-demo can be a real stroke of luck. Since they were previously driven by dealership staff, that likely live local, there’s likely to be low kilometres on the odometer. And because these cars are employee driven, it’s only reasonable to expect that they’ve received the best possible maintenance and servicing. The fact that these factory executive cars often come with some unique extra features or in flash color combinations is the cherry on top of a great deal. Special orders for new cars get canceled all the time. But if a car is already on its way to the showroom, the dealer will need to do something with it. Even if the intended buyer is no longer interested in taking possession. In cases like this, it’s not uncommon for cars in this situation to become demonstrators. Regardless of how a particular vehicle achieves their ex demo status, the end result for bargain-hunters shopping for a new car is the same – savings. And depending on how flexible the buyer is willing to be, those savings can be huge. If someone is dead set on driving away from their nearest Hyundai dealership in a brand new, Phantom Black, 1.6L turbo i30 with twin tip exhaust and tinted windows, going the ex-demo route is going to be tricky. It’s good to have a general sense of what you’re looking for. But expecting to strike gold on such a specific make and model is the next level of optimism. Saving thousands on a barely used ex-demo is not a gimme. Call around. Or better yet, make plans to visit a couple of dealerships that aren’t local or familiar to you, as they may have the specific model you’re looking for. Because car sellers are keen to sell demonstrators within 60 days of their arrival, in order to ensure a healthy chunk of their registration and warranty are still in play for their customers, most dealerships will have plenty available. And they’ll be eager to work out the best price possible. The same applies to specifics like colour, trim and the absence/presence of certain features. If you’re not overly fussed about driving a red car and don’t insist on a panoramic glass sunroof, the more likely you are to find a substantial deal on a vehicle that suits you. Another beauty of buying ex-demo is that you’re able to drive away in the car without delay. Because these cars are already licensed and registered to the dealership, it’s an easy process to transfer ownership on the spot. So you’re not waiting weeks or even months to drive your new car. It also compounds the money you’ll save on the car since the price is all-inclusive. With ex-demo vehicles, there are no additional registration, dealer delivery or insurance charges. That’s a saving of $3,617 in fees and taxes right off the top. And because these vehicles, for one reason or another, cannot be sold as ‘new’, you won’t be paying full retail for them regardless. 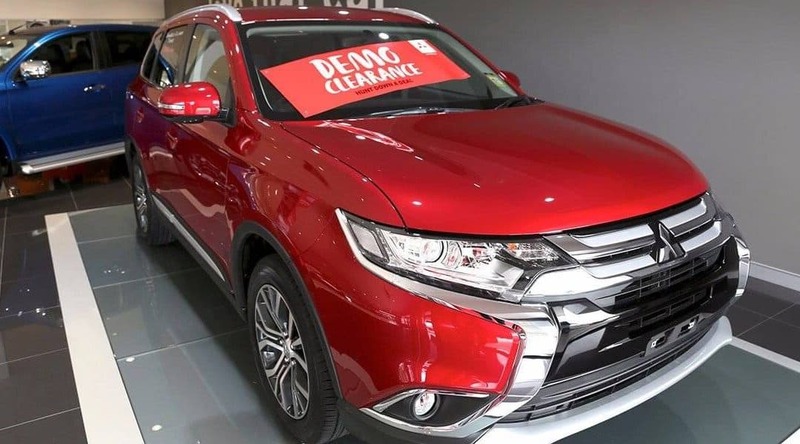 Given the dealership’s strong incentive to move these vehicles as quickly as possible, ex-demo sales events and special offers are quite common. All up, when you take into consideration that most ex-demo cars are essentially new, upper-spec models with very low kms on the clock that are deeply discounted and will cost you nothing additional in taxes or fees, it makes perfect sense to explore the ex-demo option if you’re shopping around anyways. Ultimately, the car you end up with may not be the same one you came to see. But it may very well end up being the one you fall madly in love with. And for thousands of dollars less, to boot.